Description: Single with an orange grove. Module is built inside a 'Cuties' box. 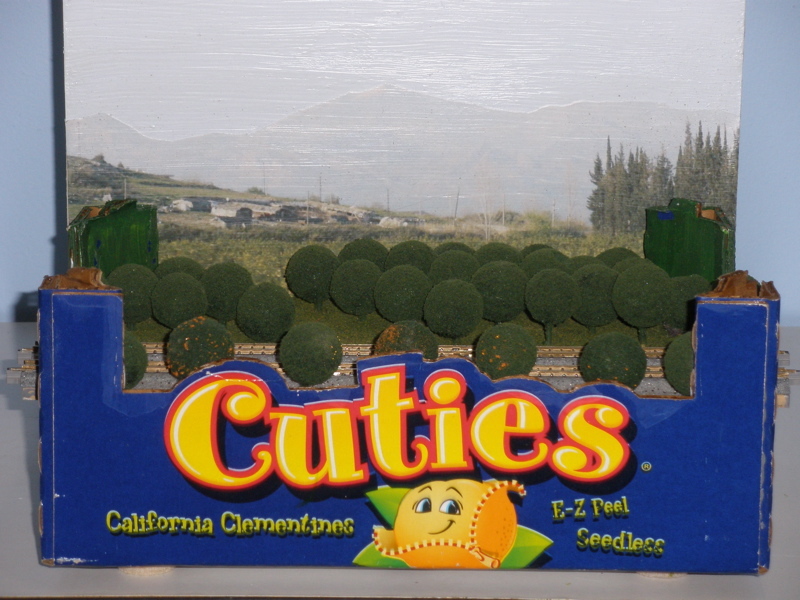 Cuties are from California, and that's a photo of a California orange grove as a background. However those topiary ball trees are the way orange trees are trimmed in Florida. California trees are raggedy. Ive got about 30 raggedy trees to replace the balls. Someday I'll get around to them. The Cuties box is purely decorative. The module is on a hardboard plank with legs. The box just slides over that.